Starting our list of the best JanSport backpacks for school in the number 10 spot is the High Stakes line. This backpack features two independent storage compartments and is designed for you by both boys and girls. It also comes in several different style and color variations. For younger users who don’t have to haul as many items, the Half Pint Classic design is an excellent option to consider. In addition to its small size, it also features straps that are very easy to adjust. The JanSport Driver 8 Core series is one of the few backpacks that we recommend that features rollers on the base of it. This allows for more comfortable transport of much larger payloads. In addition, it offers plenty of storage compartments. The Super FX Holographic features double stitching to improve its durability when handling large books and other bulky items. In terms of storage space, it offers two unique storage compartments to keep your books separate from your pens and pencils. The JanSport Digibreak laptop combines both a low purchase price and the inclusion of a separate laptop compartment that is suitable for both small and medium laptop types. It’s also fully padded with a shock reducing bottom to make it more comfortable to use. Building on our list of backpacks with a separate area for your laptop is the JanSport Right Pack Digital Edition. It features an internal padded sleeve that is large enough to accommodate up to a 15-inch laptop. It also offers a small storage are on the front of the backpack too. We consider this one of the overal best Jansport backapcks. 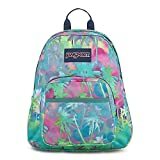 The Spring Break series is one of the most popular JanSport backpacks that is both stylish and affordable. It features two separate storage compartments and padded shoulder pads to help reduce shoulder strain. The JanSport Big Student backpack is designed specifically for students who have lots of textbooks to carry. In addition to its ample carrying capacity, it also offers five separate compartments to keep all your items organized. Although it’s a bit more expensive than some of the other choices on our list, the Cool Student backpack offers plenty of storage space for your books and your laptop. It also comes in 12 different styles for both boys and girls. 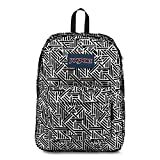 Besides being one of the best JanSport backapcks for school, we consider this one of the coolest JanSport backapcks, for simple and stylish design and multitude of colors and patterns. Our number one best JanSport backpack for school is the Superbreak model. Although it only offers two storage compartments, it’s one of the most affordable options on our list and it features easily adjustable straps. 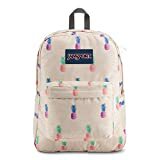 The products we reviewed are all excellent choices to consider in your search for the best JanSport backpacks for school. Many of our recommendations feature premium features like double stitching and a separate compartment for laptop storage. If there are any backpacks that you want to recommend, feel free to tell us about them in the comments.